Fremont, CA – February 16, 2012 – Antec, Inc., the global leader in high-performance computer components, announces EarthWatts Platinum, the latest in its series of power supplies. With the addition of EarthWatts Platinum, Antec has effectively upgraded the EarthWatts family of energy-conscious power supplies to the highest standard of efficiency. For 26 years, Antec, Inc. has been the global leader in high-performance computer components and accessories for the gaming, PC upgrade and Do-It-Yourself markets. Antec remains an industry pioneer and market leader for quiet, efficient and innovative products such as the P280 and SOLO II enclosures, and it has been independently recognized as the most reliable power supply manufacturer. Antec continues to push the industry to its limits with many state-of-the art products like the Mini-ITX-made enclosures, the ISK Series, and the functional, efficiently cooled Eleven Hundred gaming enclosure. 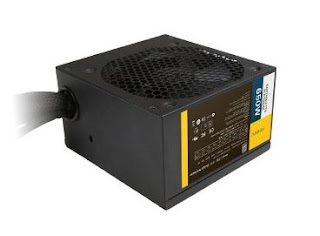 Antec also paves the path for in the PSU market with the environmentally-safe EarthWatts Series, the office-friendly VP Series for efficient, quiet power, and the gamer-specialized HCG and HCP Series for hours of reliable, continuous power. soundscience, a subsidiary of Antec, Inc., was created to manufacture products audio and video-enabled lifestyle products for the PC and home entertaining markets, such as the rockus speaker system. Follow the official Antec Facebook page www.facebook.com/AntecInc for event updates or visit the Antec blog at http://blog.antec.com/.